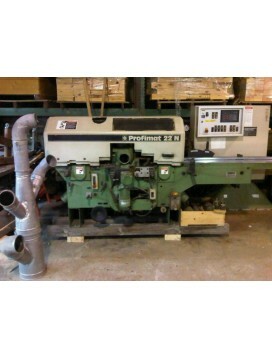 Wood moulders use profiled cutters to shape wood. Once done entirely by hand, moulders revolutionized the process making it more efficient and productive. Wood moulders feature one or more heads which cut the wood. Single headed moulders will only be able to make one cut in the wood, whereas multi head moulders will be able to make several cuts in the wood. 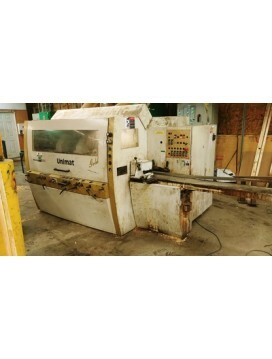 Single head moulders tend to be less expensive and more economical, especially for a smaller shop, however they also feed the pieces of wood through the machine slower. 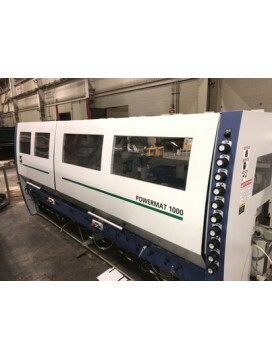 With the lower price of a single head moulder comes a slower production speed. If your shop’s goal is to get pieces out quickly, or has a high volume of work, a multi head moulder that makes several cuts at once will quickly be worth the initial investment. 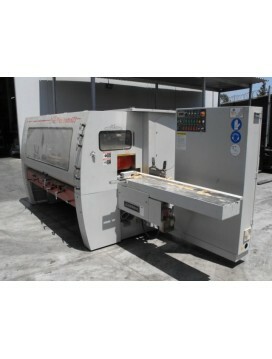 Nearly all moulders are also able to function as planers as well. 6-Head 12" wide x 6" High Capacity40mm Diameter Spindles, 7,200 RPM60mm high fencesREC-705B Quik-TrueSet SetWorks on Top Head(s)Rec-705B Quik-TruSet SetWorks on Near Side Head20HP 1st Bottom15HP 2nd Right15HP 3rd Left20HP 4th Top20HP 5th Top20HP 6th ..
1st Head - Bottom– 40mm spindle - 11kw8,000 RPMElectronic digital display for radial adjustmentMarathonCoating Table plates2nd Head - Right – 40mm Spindle – 11kw8,000 RPM3rd Head – Left – Powerlock Spindle – 15kw8,000 RPMPressure shoe in front ..
-5 heads-Extra machining capacity 10 5/8" X 6 1/4".-78" chrome infeed table.-first bottom head 7.5kw (10hp).-R & L side heads, commom motor 7.5kw (10hp).-top head 11kw (15hp).last bottom head 7.5kw. (10hp)-6000 rpm spindles.-2- to 72 fpm variable.. Highlights of Unimat Gold: -Speed 6800 rpm (1st bottom spindle 6000 rpm) -Individual motors for the right and left spindle -Motors 7,5 KW (10 HP) and 11 KW (15 HP) -Electronic feed, infinitely variable 6 -30 m/min. -Feed motor 4 KW (5,5 HP) -2 dri..